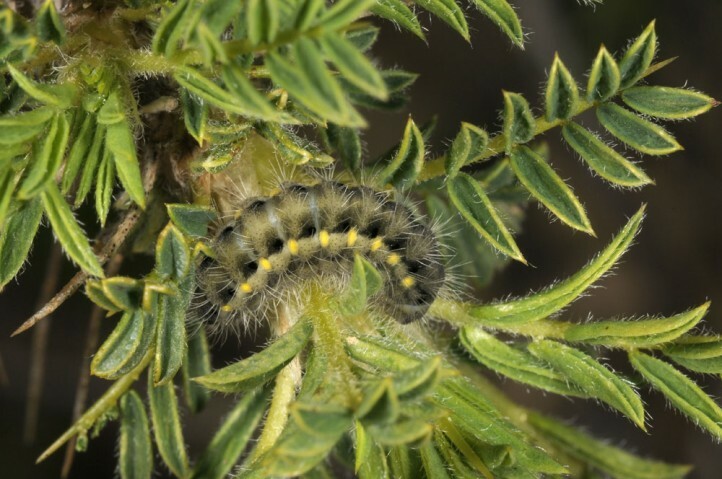 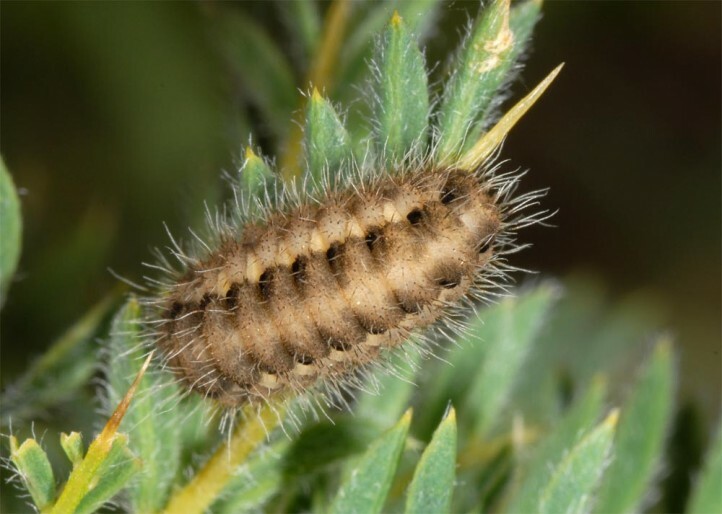 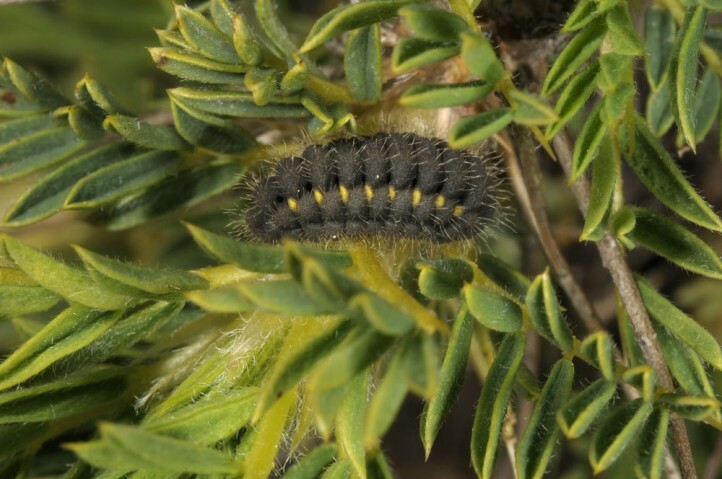 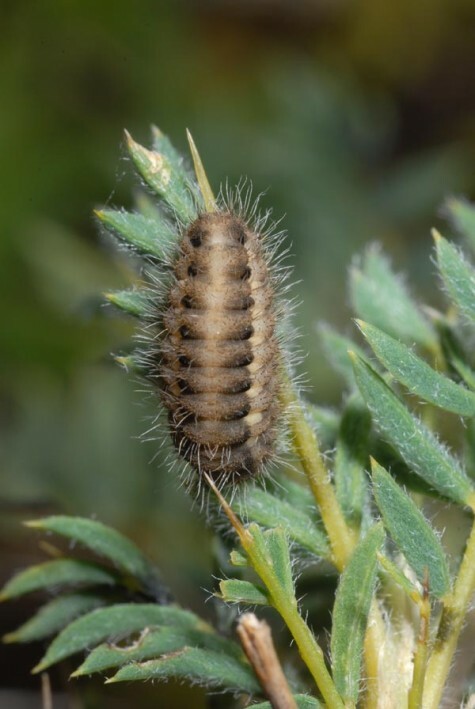 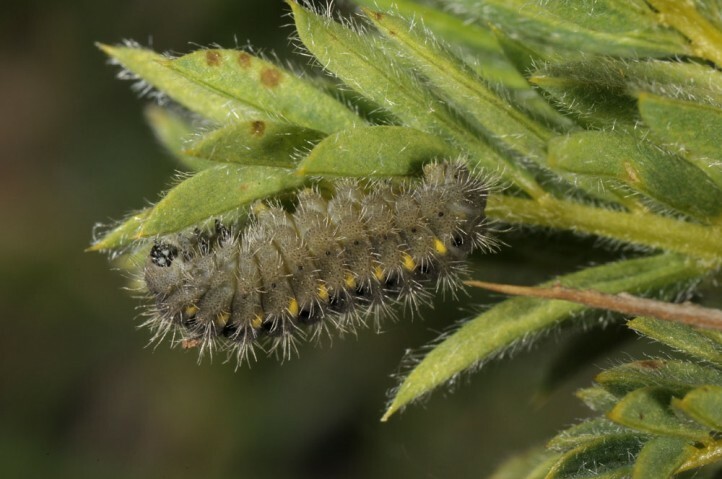 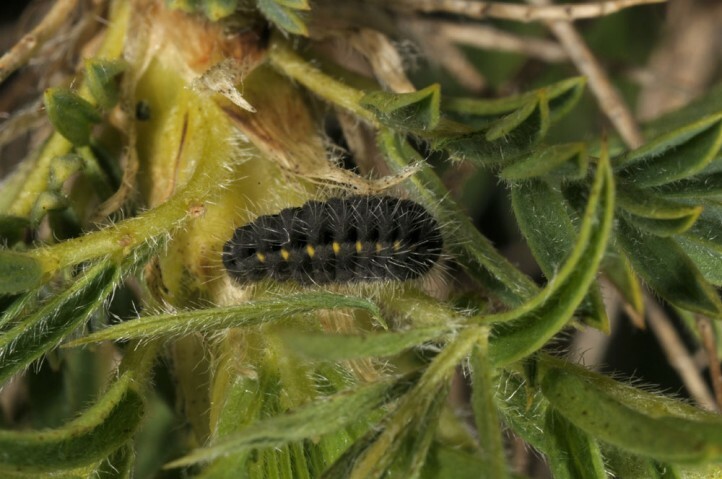 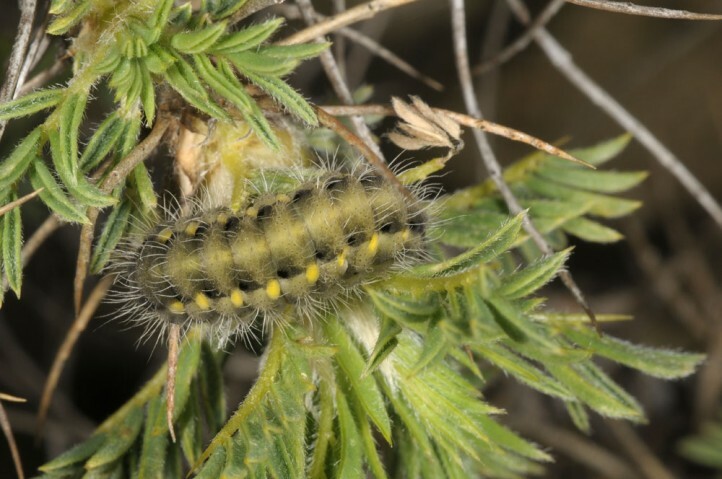 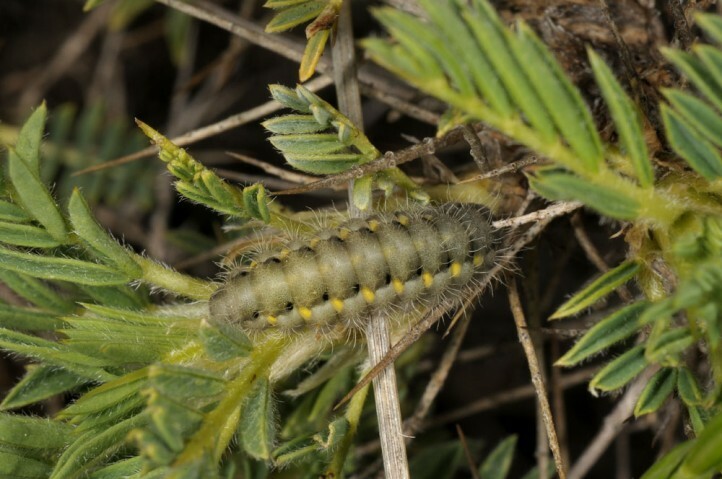 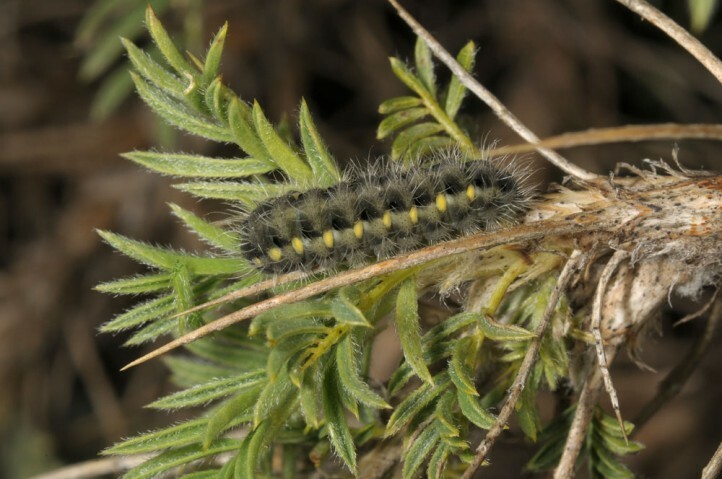 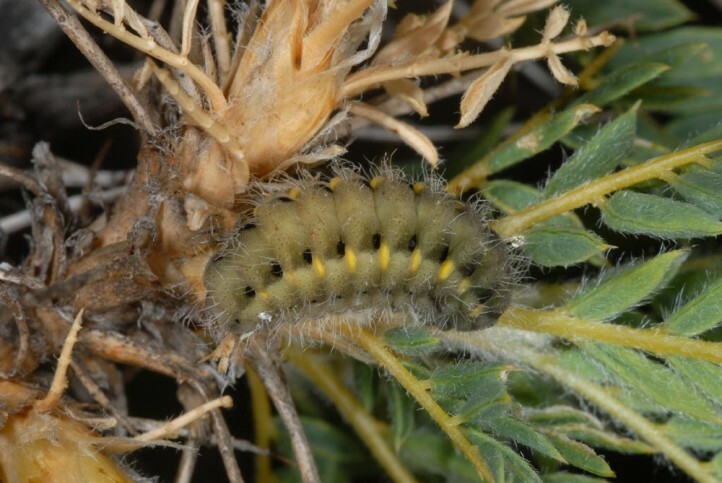 The caterpillars feed on thorny dwarf shrubs of Astragalus species. 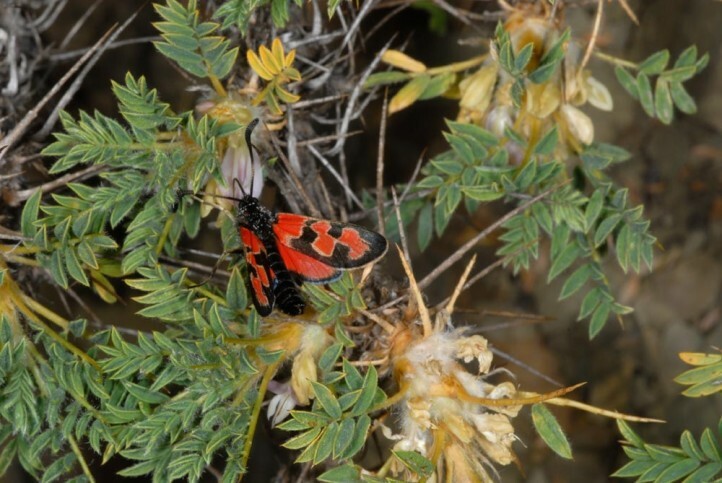 I observed them on Astragalus creticus rumelicus in Northern Greece. 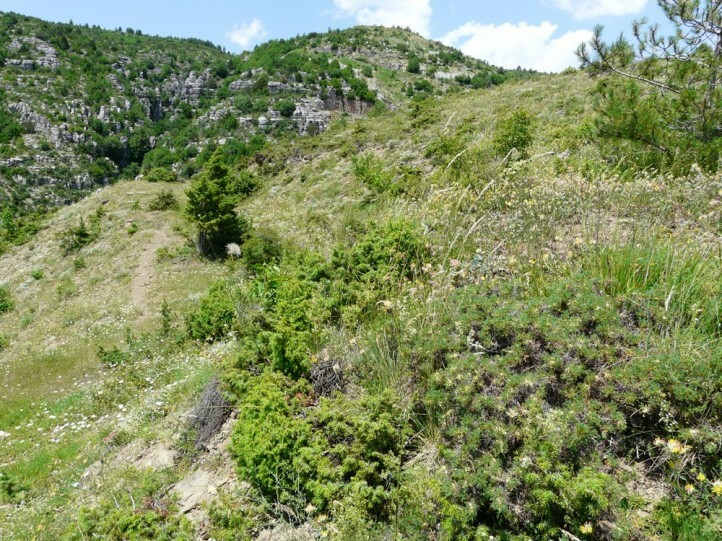 There is also data on Vicia cracca in literature, but that is probably wrong at least for the Balkan peninsula. 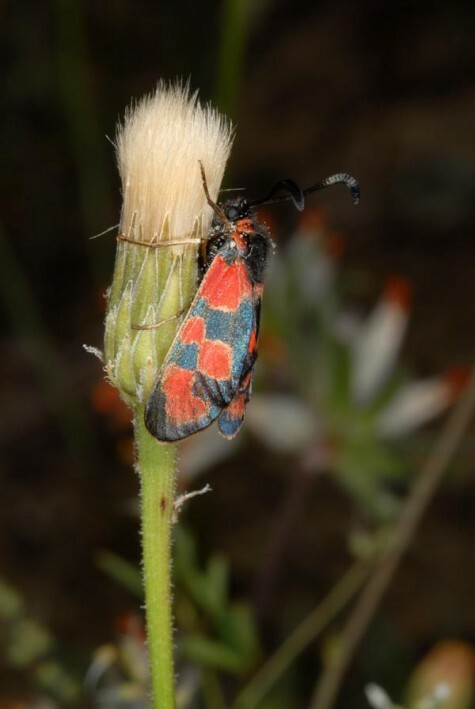 Zygaena sedi inhabits dry, often bushy mountain slopes, most often on limestone, which are rich in thorny dwarf shrubs of Astragalus (between app. 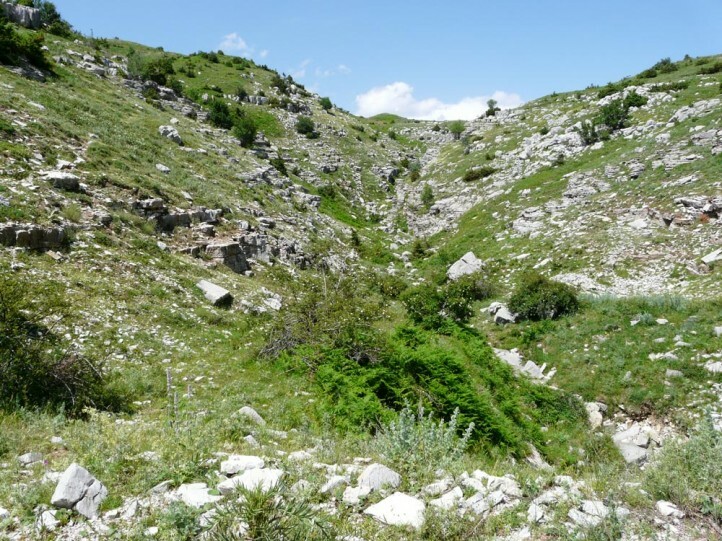 1000 and 2400m asl, in the Balkans often 1200-1800m). 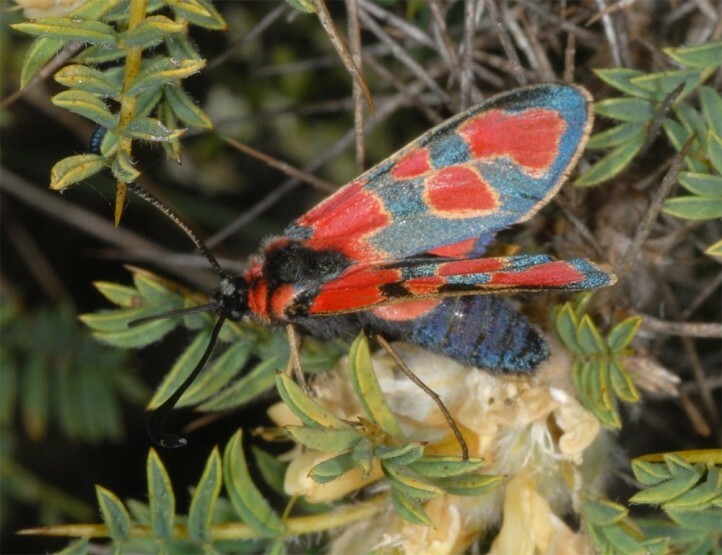 In southern Russia, Zygaena sedi should occur in even lower altitudes. 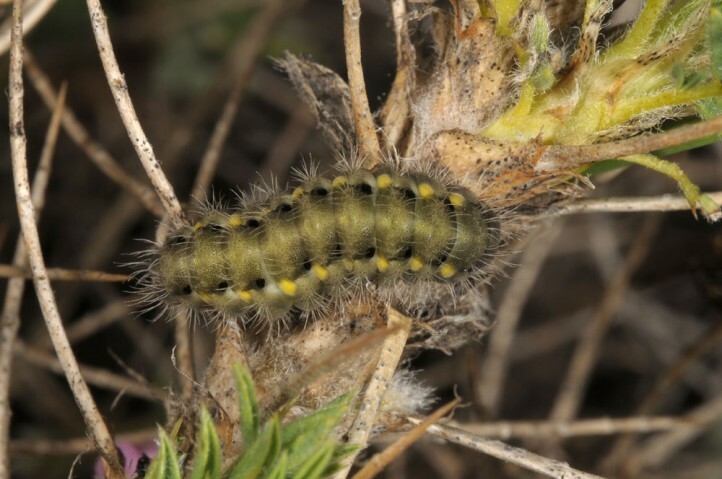 The adults often cohabit with Colias aurorina. 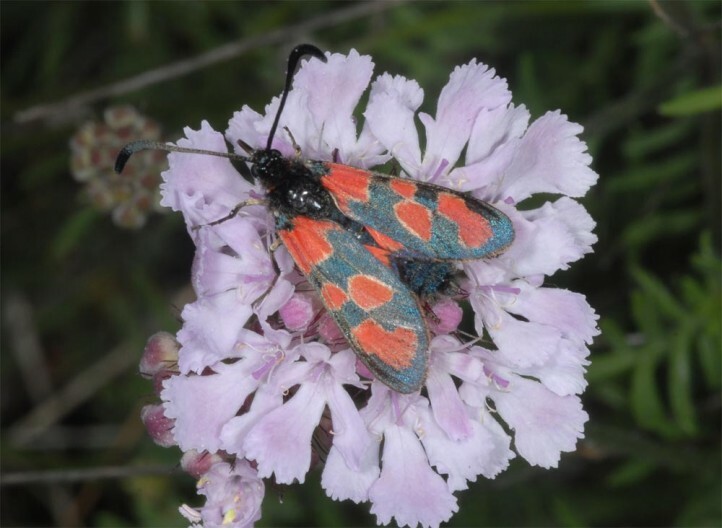 The adults fly in June and July. 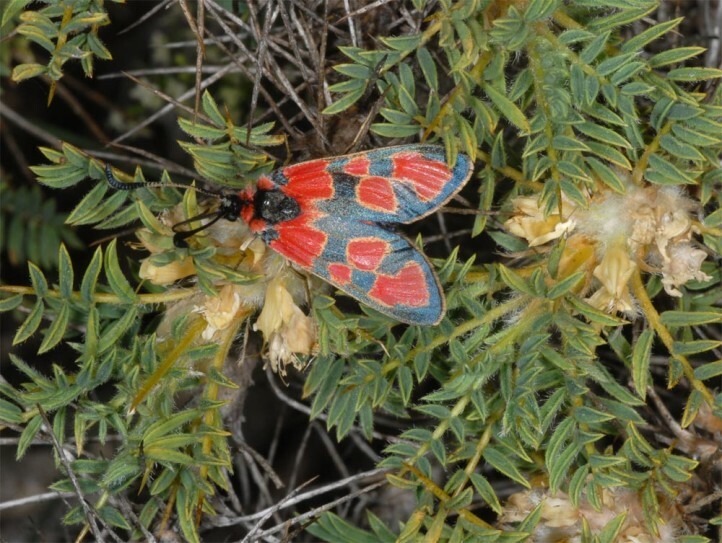 I observed them in the Tymfi mountains near Vradeto in Northern Greece in 1500m asl in late June 2013. 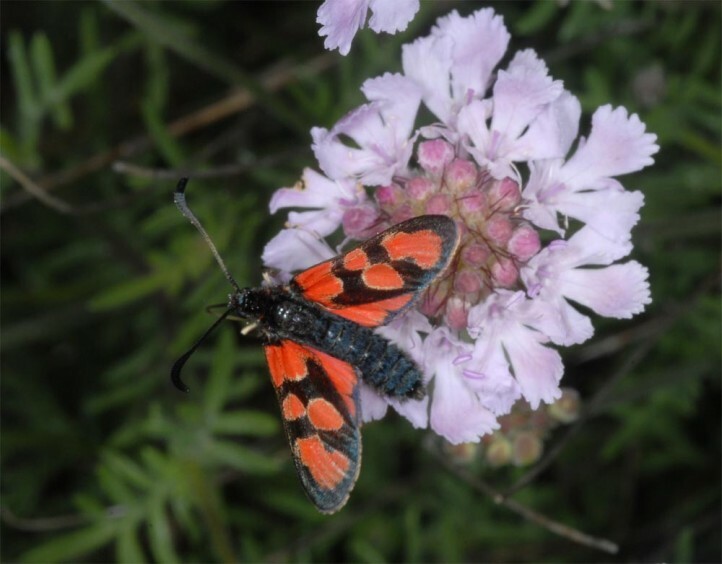 The moths are eager visitors of flowers, especially Scabiosa, but also the flowers of the larval host plants. 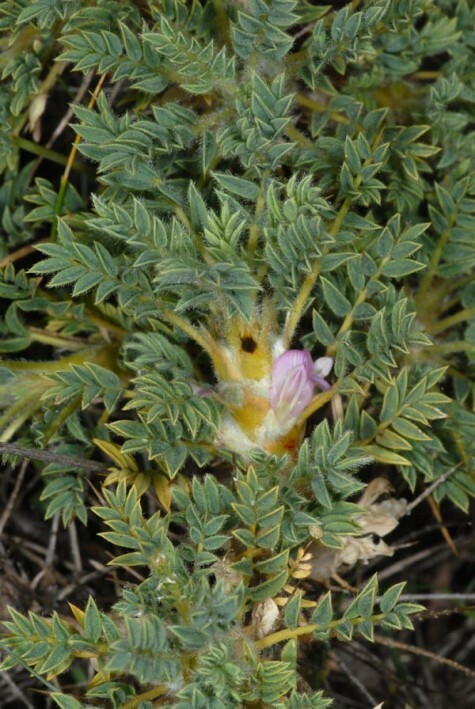 Oviposition occurs mostly in one or two rows on the upperside of the Astragalus leaves. 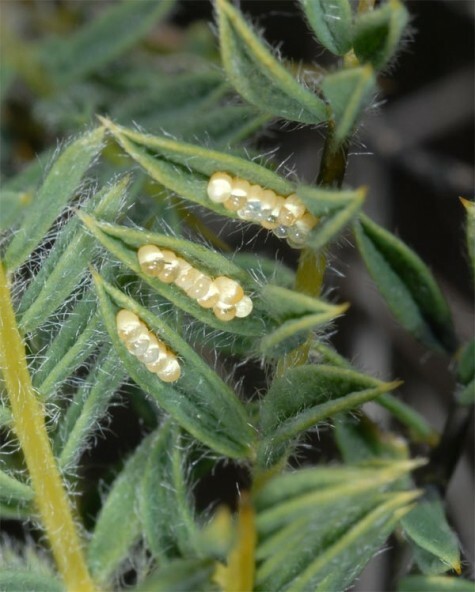 I observed more than 20 egg batches, which mostly consisted of 6-18 eggs and spread over some neighboured leaflets. 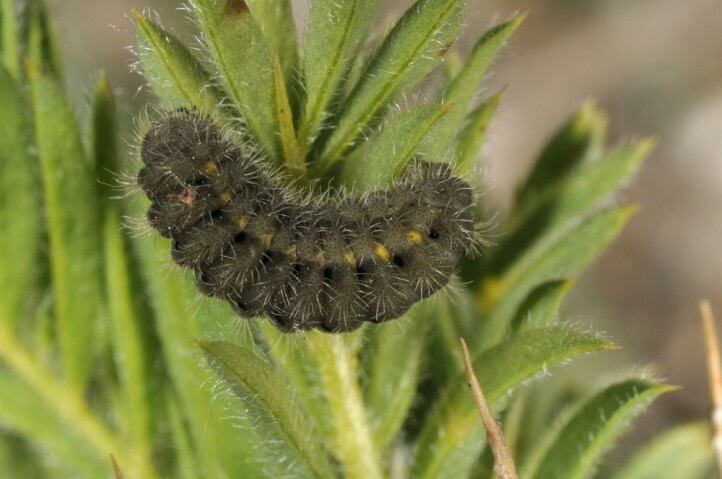 The caterpillar is most likely to hibernate partially multiple times as it is the case with other Zygaena species. 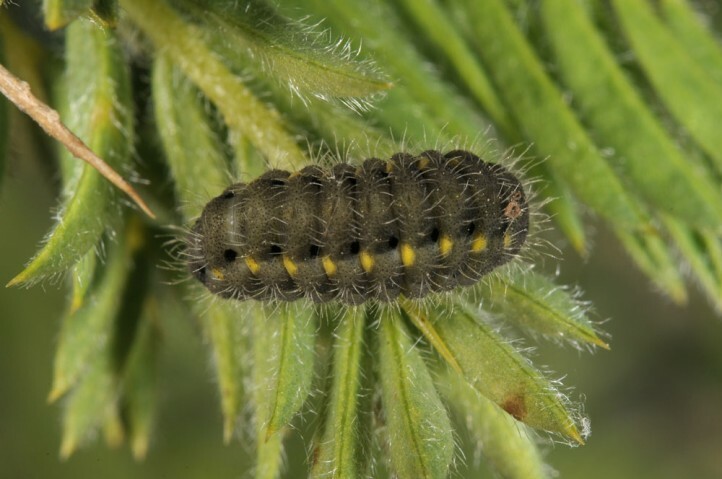 The larva is mature between mid-May and mid-June. 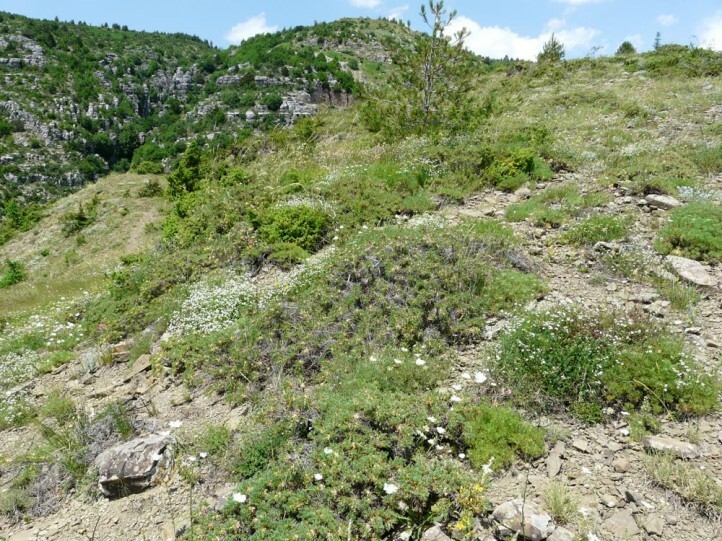 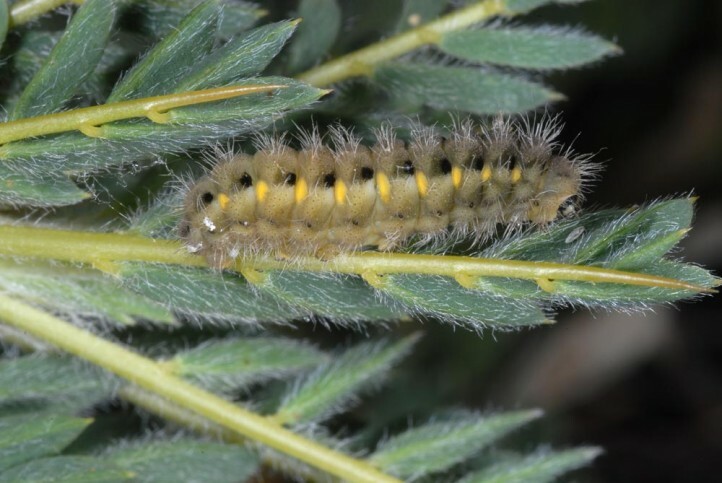 In mid-may 2014, I observed more than 50 half- to fully-grown larvae in Tymfi mountains near Vradeto. 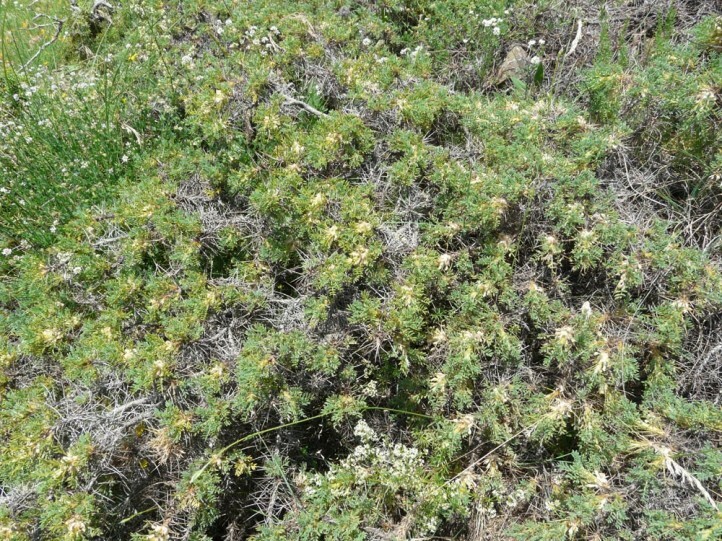 But there are some stragglers until July. 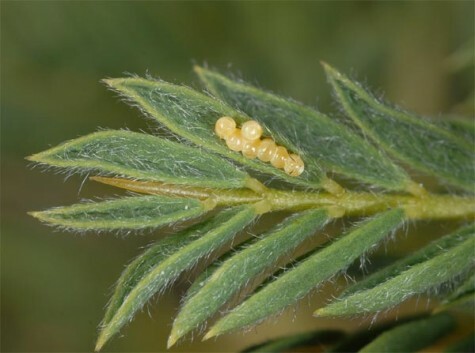 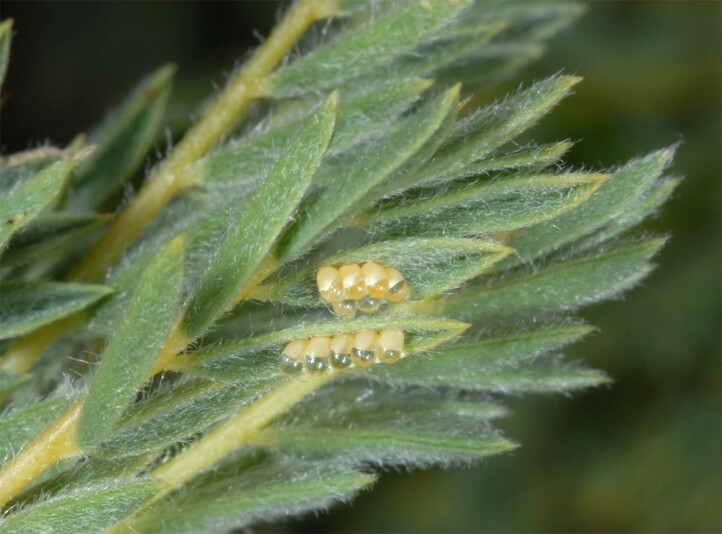 So I found eggs, adults and some mature larvae and even an half-grown individual in late June 2013. 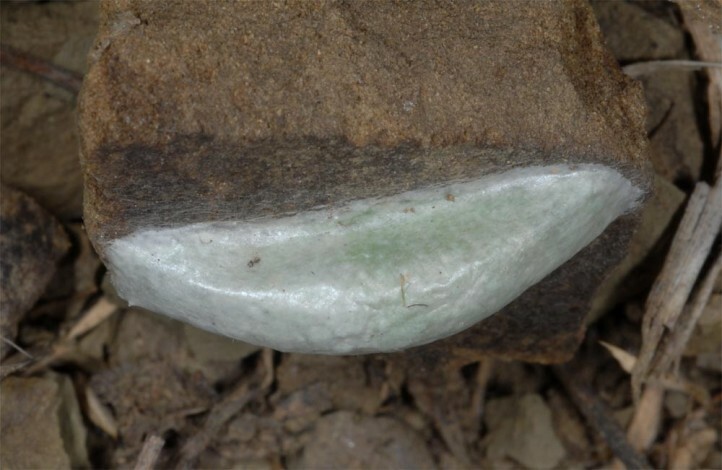 The cocoons are constructed near the ground and obviously often under small stones (two field observations). 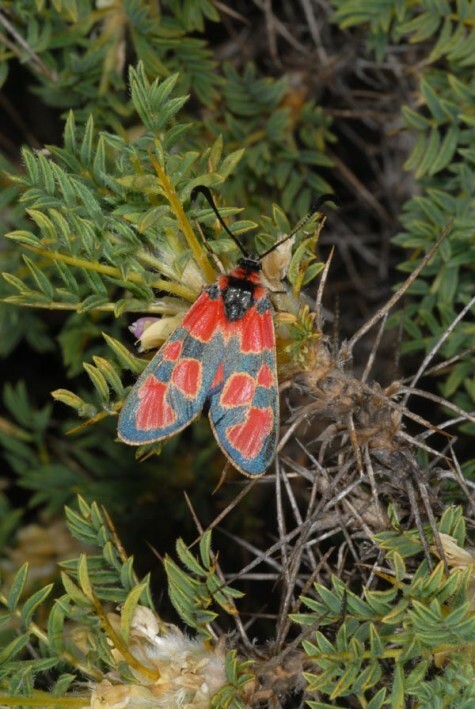 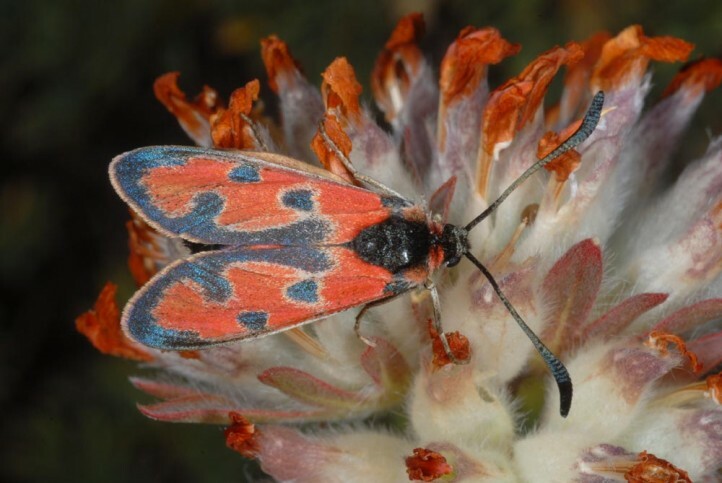 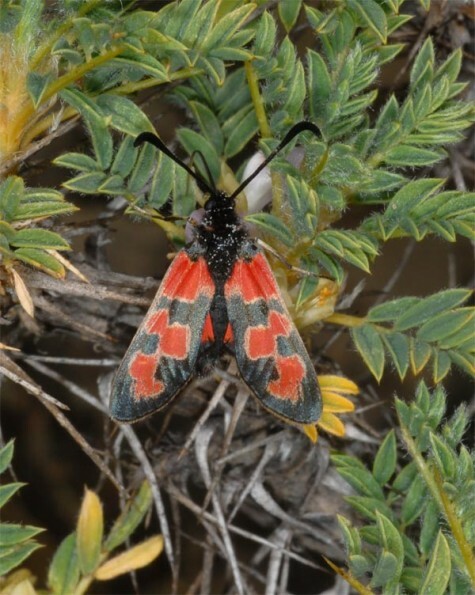 Zygaena sedi is probably locally endangered by infrastructure measures (tourism), bush fires or dense reforestation. 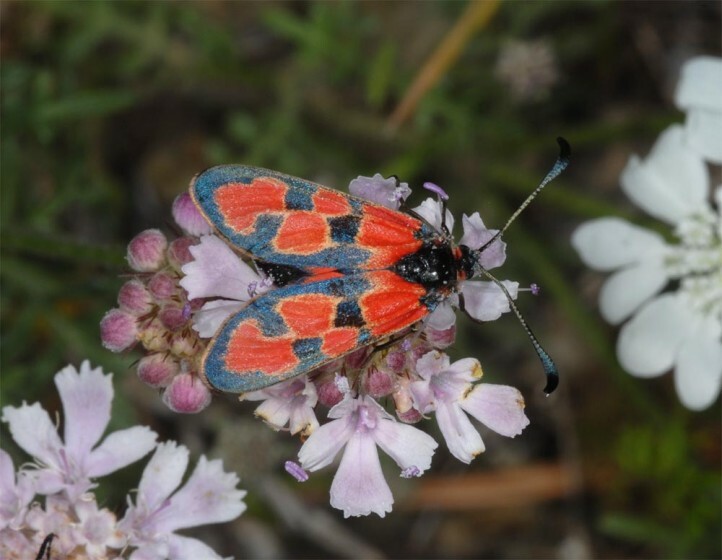 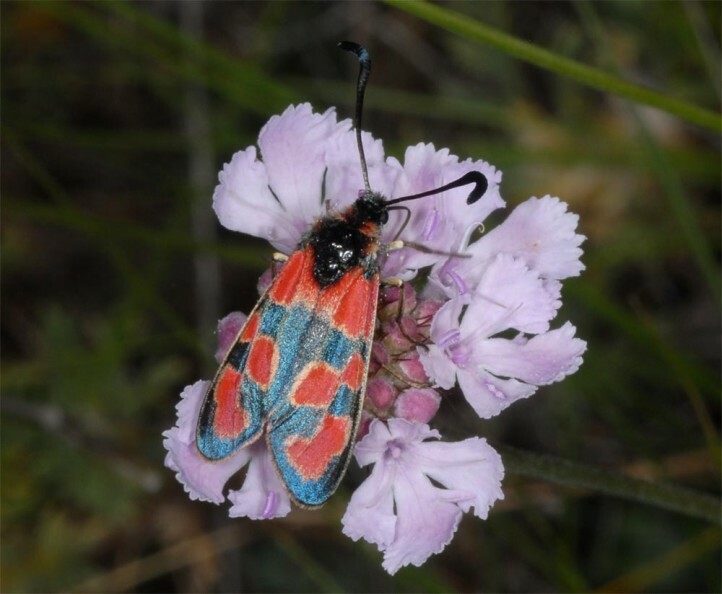 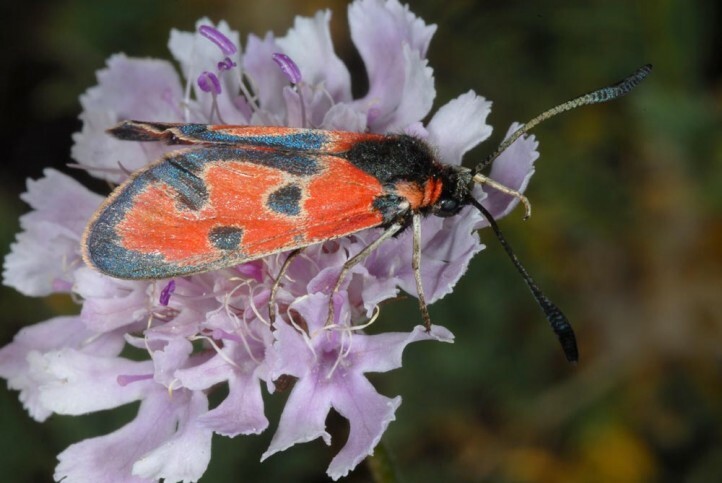 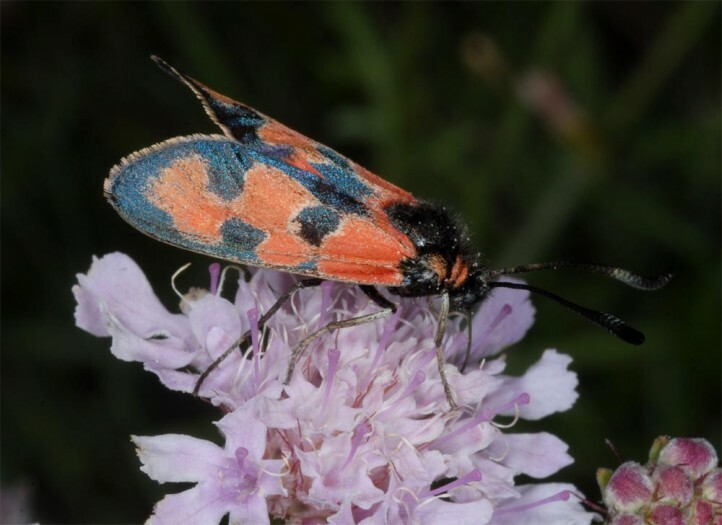 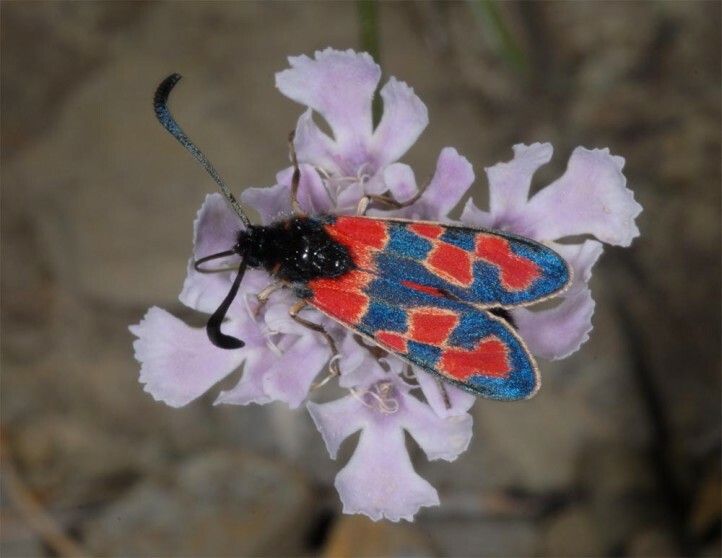 In Europe, Zygaena sedi occurs only very locally in the Balkan Peninsula (Northern Greece, Bulgaria and possibly also adjacent countries like Albania), in the Crimea and in southern Russia. 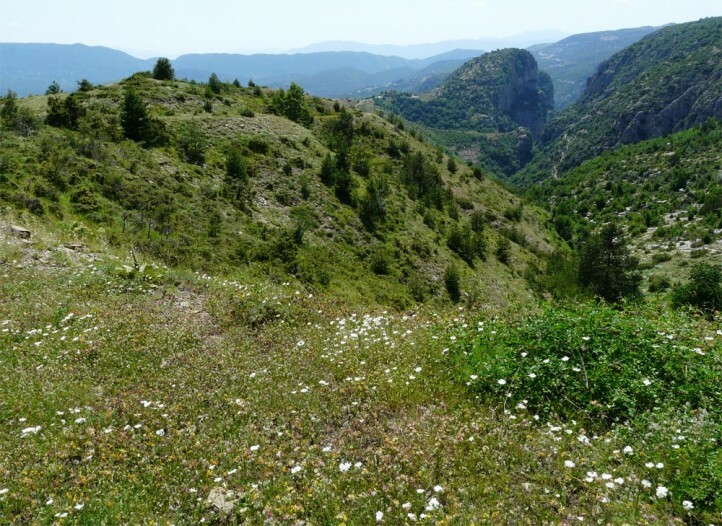 Besides it is known from Asia Minor and Transcaucasia.